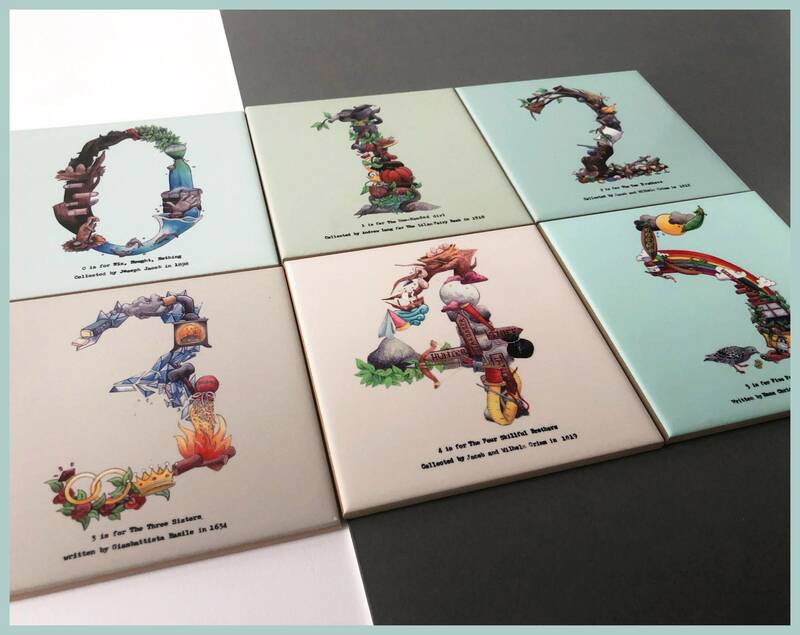 These fairy tale inspired house number tiles are printed by hand and made to order. 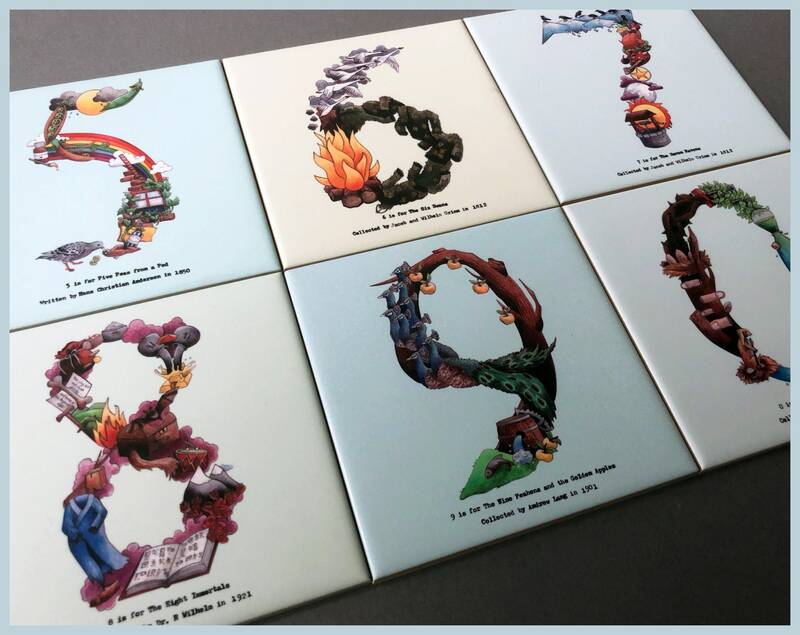 Why not make your house front stand out with these unique, fun and coluorful address numbers. 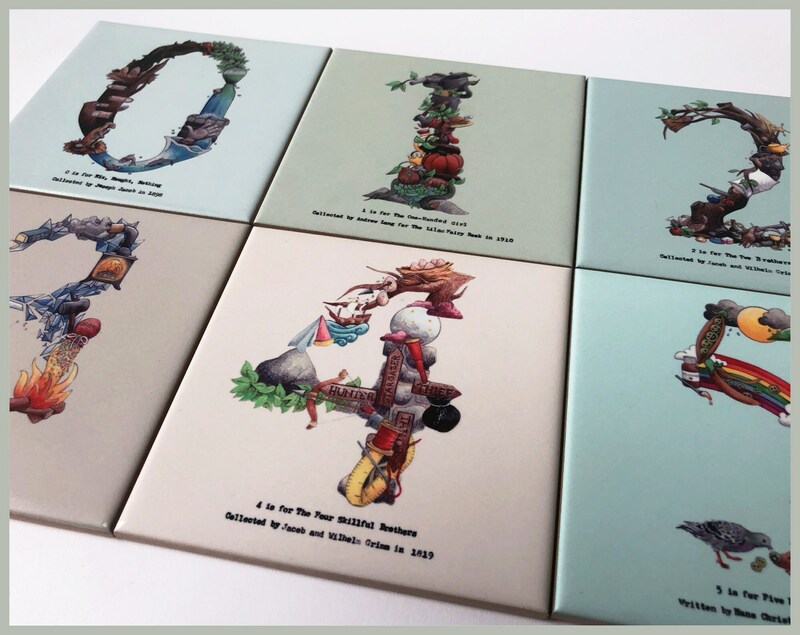 Made from ceramic with a UV protective satin coating these tiles make a great addition to your own home or a beautiful gift for a friend or family member. Please note tiles can be fixed to your property using a number of methods, you can use silicone or a waterproof tile adhesive, something cement based such as Everbuild 705. 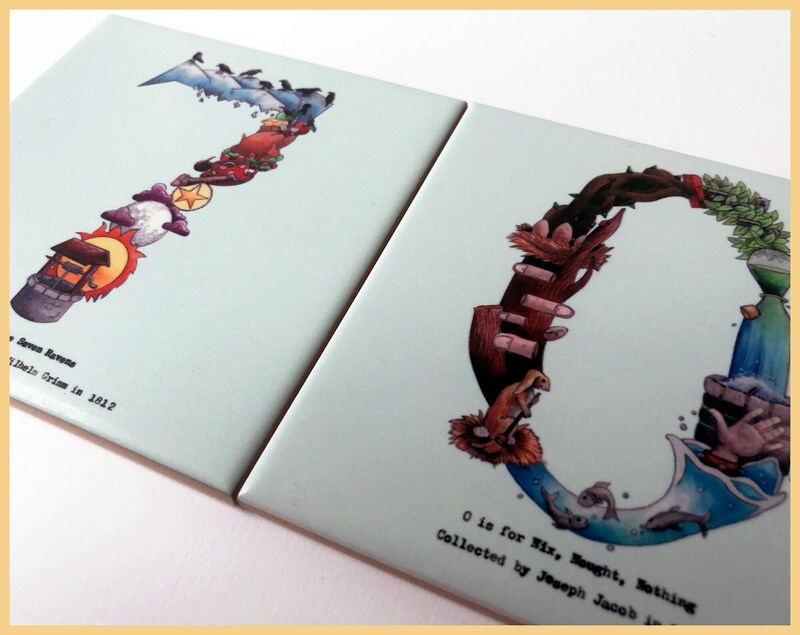 Tiles could also be mounted onto a plaque or framed and displayed in the porch! Please note tiles do not have any pre drilled holes, the holes interfere with the design and I feel the best way to attached them is using one of the methods listed above. Tiles cost just £9.50 each. 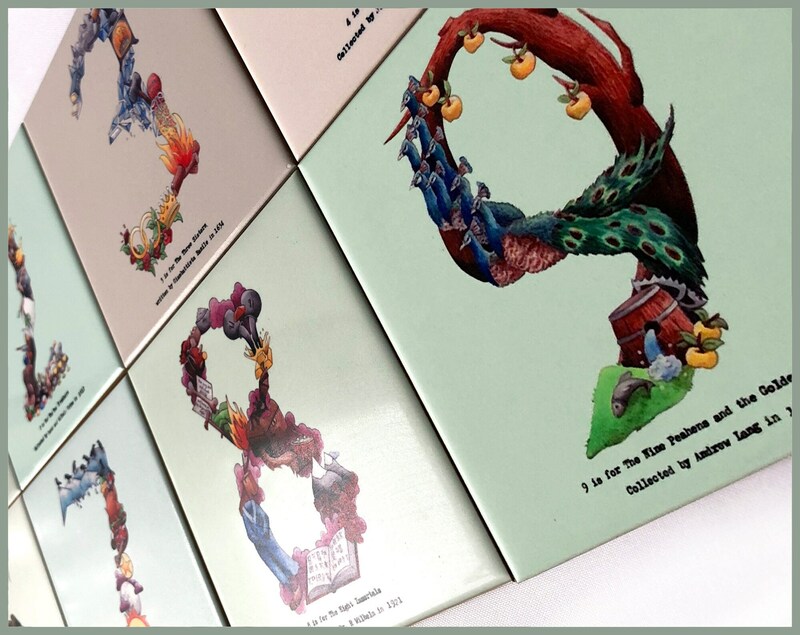 To order simply select which numbers you would like from the drop down menu and don't forget to change the quantity required if you would like more than one tile!